About two weeks ago, I posted about my Brandy Station project. I mentioned that I had not located a publisher for the project, and I also mentioned that the thing didn’t even have a title yet. I’m pleased to announce that both problems have been resolved. The History Press, of Charleston, South Carolina, has accepted my proposal, and I am prepared to sign a contract with them to publish the work. My proposal was for a 68,000 word manuscript, with 50 maps and illustrations, and it was accepted as proposed. 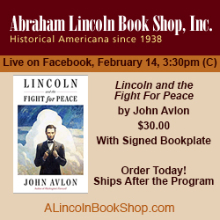 I am due to submit the manuscript some time around Labor Day, and I think that there’s a reasonable chance that it will be out before the anniversary of the battle in June 2010. I will be putting together the tour in June, and intend to include GPS coordinates with it. My friend and mentor Clark B. “Bud” Hall has the manuscript at the moment, and Bud will work with me to put together the tour. As stated previously, the Civil War Preservation Trust and master cartographer Steve Stanley have given me permission to use Steve’s excellent maps in the book. 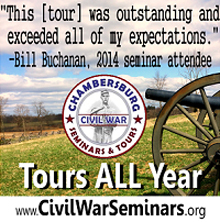 The book will be titled The Battle of Brandy Station, June 9, 1863: North Americaâ€™s Largest Cavalry Battle. 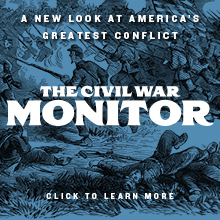 It is to be part of The History Press’s forthcoming sesquicentennial series on battles of the Civil War, which sounds like it’s going to be an interesting series. I will keep everyone posted as to my progress. Many thanks to Charlie Knight for the introduction. Charlie returned the favor; I introduced him to Ted Savas, and Ted will be publishing Charlie’s excellent new treatment of the Battle of New Market. Thanks, Charlie. This is great news! Really looking forward to it. Brandy Station deserves a good treatment. Sweet! Congratulations, and thank YOU Eric. Congrats my friend. I’ve had great success with THP. I’ll start saving my “milk money” now to ensure my book budget next year includes this title! Great news, Eric…I just wish it could be sooner. Great news, Eric, I’m really looking forward to it. That;’s great news! I wish you another sucess! Also, I was quite surprised to receive North & South Magazine today. Reading your blog gave me the feeling that it had gone or was in the process of going under. I hope it continues. I forgot to mention in my first post that a new treatment of the Battle of New Market sounds great too!